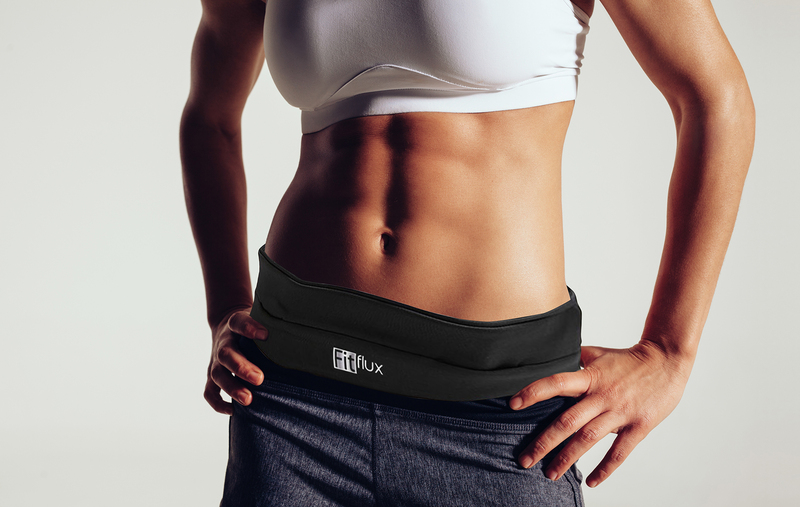 I just tried out this great active belt from FitFlux and I love it! I have been walking more and working out to improve my health and this active belt really makes working out hands free a lot easier. The active belt is made from a nylon type material that is breathable and doesn’t cause a lot of sweating (even when you are working out). The material is well made and quality materials. This active belt is not going to fall apart easily. It has several openings to insert your phone and personal items in. It even has a hook for your keys which I love. I have the feeling that I might lose them or they might fall out so I love that you can attach them to a hook. I have been using mine for a couple weeks and I love it. It makes my working out hands free so much easier and convenient. Another feature I love about this active belt is you can open it up and wrap it around your waist you don’t have to put it on over your head. Much easier to put on. NEW & IMPROVED FITNESS RUNNING BELT. ADJUSTABLE VELCRO STRAP FITS SIZES X-SMALL TO X-LARGE!!! NO MORE HASSLE OF PULING YOUR FITNESS BELT OVER YOUR HEAD OR TRYING TO STEP INTO IT!!! SIMPLE, ELEGANT & FASHIONABLE SOLUTION FOR YOUR WORKOUTS. SIMPLY WRAP THE BELT AROUND YOUR WAIST OR HIPS AND EASILY SECURE IT WITH ADJUSTABLE HIGH QUALITY VELCRO STRAP- EASY & SECURE! YOUR ITEMS WON’T MOVE, SHAFE OR BOUNCE!! LIGHT AND COMFORTABLE- YOU WILL FORGET ITS EVEN THERE-Made of HIGH TECH FLEXIBLE SPANDEX-LYCRA MATERIAL THAT’S MACHINE WASHABLE-LOOKS GREAT WITH ANY ACTIVE WEAR!!! PERFECT SOLUTION for all Active Types: GYM RATS, RUNNERS, HIKERS, BIKERS, etc. CAN EVEN BE USED IN PLACE OF A WALLET OR PURSE OR WHERE EVER YOU NEED TO BE HANDS FREE!!! You can purchase this active belt on Amazon!